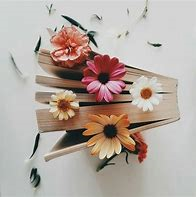 Welcome to my blog-ish abode, today I bring to you a book from one of my favourite genres; translated literature. 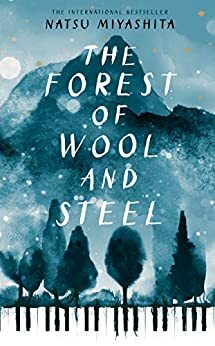 The Forest of Wool and Steel written by Natsu Miyashita (translated by Philip Gabriel) is due to be published by Transworld on the 25th April 2019 in both e-book and hardback formats. I’d like to thank Hannah Bright and Transworld Books for providing me with a proof copy of this book to review. I loved it. “Tomura is startled by the hypnotic sound of a piano being tuned in his school. It seeps into his soul and transports him to the forests, dark and gleaming, that surround his beloved mountain village. From that moment, he is determined to discover more. Tomura lives in a mall town in Japan, the story begins when he is nineteen and a piano that is being retuned creates a emotional response within him that was life – making. Tomura embarks on a different path from the majority of people in his village, a path of music under the watchful eye of three piano teaching masters. A uplifting, beautifully written novel takes you through Tomura’s journey of discovering if he has what it takes to reach his musical goal. I want to start by applauding the beautiful imagery included throughout the whole book, the descriptions and spoken dialogue was unflawable. The read is split into five chapters with numerous sub-chapters that follows Tomura’s journey from the first introduction he has with the piano to becoming a master of tuning. This helps break up the book nicely, although it’s only 200 – or so pages. This time helps you to emotionally recover! At places throughout the book you can feel Tomura’s feel of faltering as he questions himself and his abilities, especially after he comes across twin piano players in which he favours one and the piano master favours the other and chastises his opinion. The read definitely has some inspirational underlying themes; such as believe in yourself (which I think is why it spoke to me so much!) and keep going with your dreams because if you put the work in, you’ll get there. Tomura spoke to my heart, completely and utterly. An aspect of our lives that some of us struggle with is fitting in, or the sense of fitting in. Tomura speaks of this; he perceives a type of belonging when he hears the piano as well as the sense of freedom, I think that is where the imagery of the title comes from. He is from a village surrounded by mountains and forest, that’s where he feels more free without the confinements of his society. I highly recommend The Forest of Wool and Steel, seriously read it! You won’t regret it and it’s an easy light read, it was a lovely read to bring in the new year.